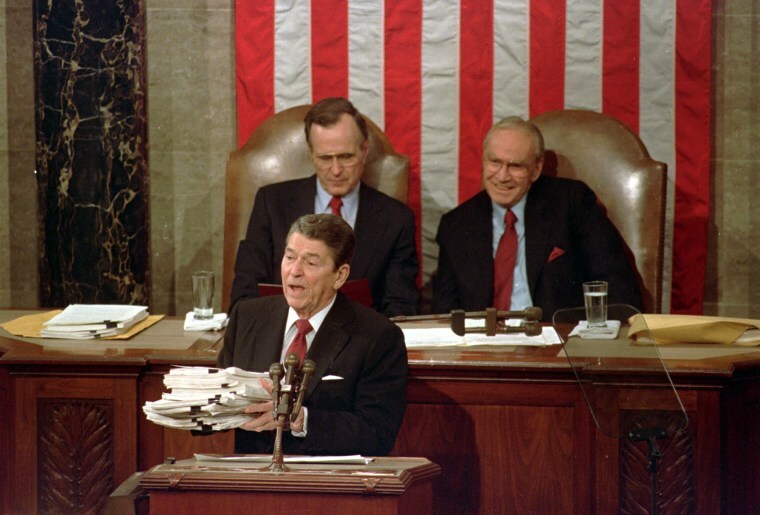 Of all the speeches given by presidents of the United States, their State of the Union addresses are among the most meticulously planned and exhaustively analyzed. Their language is meant not only to tout an administration’s accomplishments and lay out a laundry list of priorities for the future, but also to build a narrative about that president’s legacy and role in American history. In 1994, when Bill Clinton gave his first official State of the Union address, the words “health” and “care” stood out, as well as an emphasis on “people.” This year, Donald Trump's first State of the Union address was added to the mix. Use the tool below to compare the most frequently used words for selected presidents in their first official State of the Union address.